If you are new to SCADA and learning Intouch SCADA or nay other SCADA, you must be thinking to make a Clock in SCADA to use your SCADA skills and Scripts. 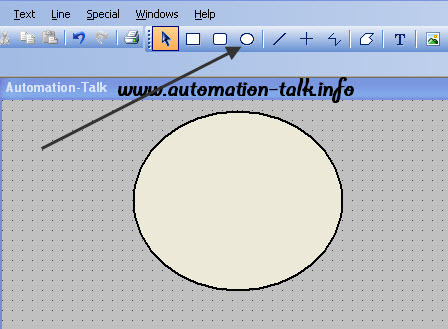 We have also told you How to Rotate a Line in clockwise/Anticlockwise direction in Intouch. 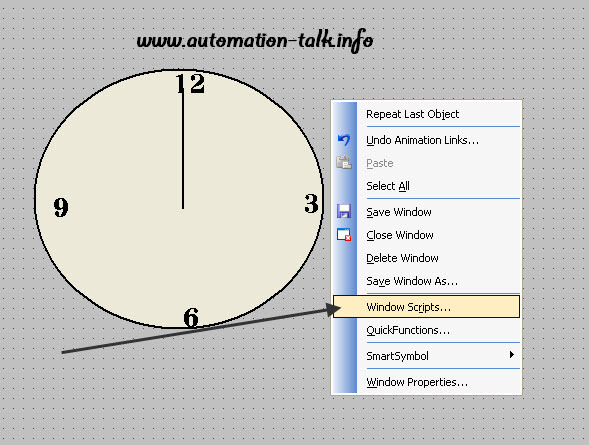 Take help from this tutorial to rotate your clock minute, seconds and hour hands. This tutorial will help you a lot in becoming good at Intouch SCADA. Subscribe to Automation-Talk by Email. 1.Take a Circle of your desired size. You can hold Ctrl Key for Perfect Circle. 2. 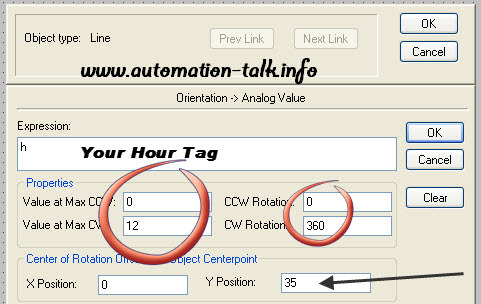 Now draw lines for your Hour, Minute and Second hand and apply orientation property on these lines. See below image one we have shown. 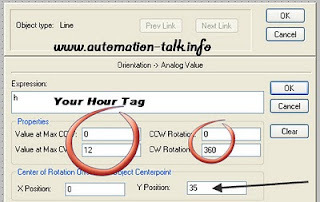 3.Make your Tags for Minute, Hour and seconds hand first. You can also put Clock number to make it look good. 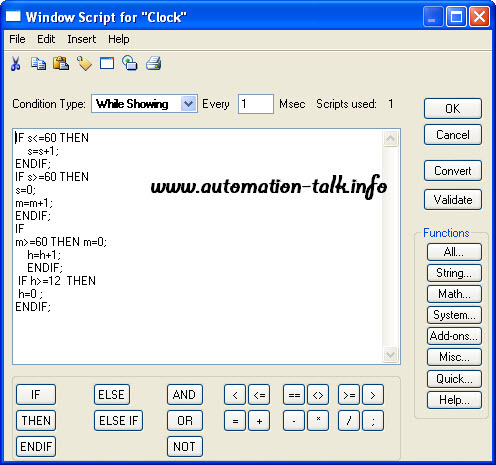 4.Now Right click on your working window and go to Window Script and put the Clock Script in it which you will have to make or take reference from our script. We have just make this script for help and you can try that and modify according to yourself. 5.Now just run your application and try how it looks. 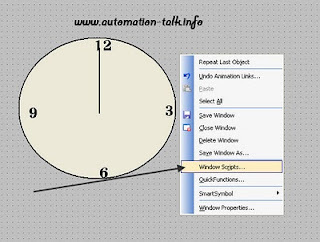 We will soon post more such Clock tutorial on different SCADA software like Omron, Rsview32 etc, so Subscribe to Automation-Talk by Email.